Delivers 50 Highway MPG and 54 City MPG! This Toyota Prius has a strong Gas/Electric I-4 1.8 L/110 engine powering this Variable transmission. 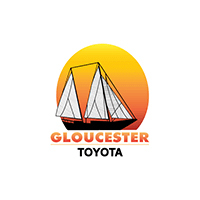 * Visit Us Today *A short visit to Gloucester Toyota located at 6357 George Washington Highway, Gloucester, VA 23061 can get you a tried-and-true Prius today! Boasts 48 Highway MPG and 52 City MPG! This Toyota Prius has a durable Gas/Electric I-4 1.8 L/110 engine powering this Variable transmission. * Stop By Today *Treat yourself- stop by Gloucester Toyota located at 6357 George Washington Highway, Gloucester, VA 23061 to make this car yours today!